Home Basketball "People go crazy with others but the MVP is George"
"People go crazy with others but the MVP is George"
The players of the Blazers surrender to the forward of the Thunder, who could finish in Portland in the summer of 2017, before arriving at OKC. "For me, Paul George is the MVP, seeing him play the last ten games or so ... is on another level, everyone is realizing, if he is like that, he is the MVP for me ." Damian Lillard said it after his Blazers (1-7 against the top 3 of the West, Warriors, Nuggets and Thunder) fell in OKC before a rival in state of grace (11 wins in 12 games) and with triple-doubles from Russell Westbrook, tenth in a row (never seen in the NBA) and a George who finished with 47 points, 12 rebounds and 10 assists. 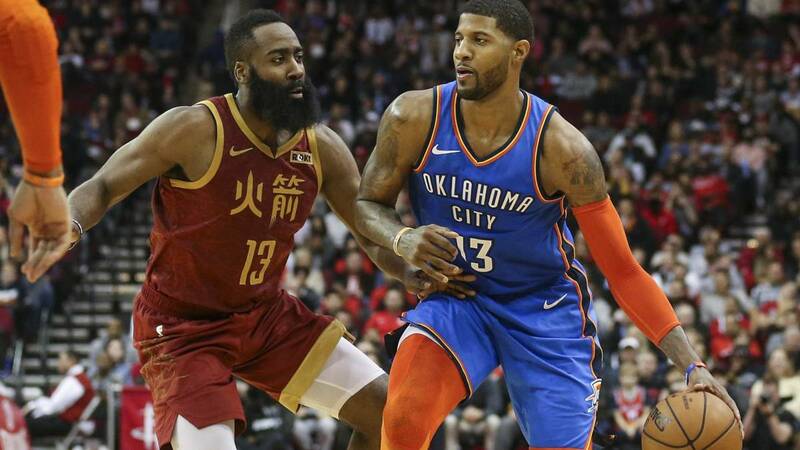 Evan Turner agrees with his base: "Everyone is going crazy with Antetokounmpo, with Harden ... but for me, and without missing anyone to respect, the best of the NBA right now is Paul George. a level that costs up to explain it. " George was just Player of the Week name in the West with averages of 37 points, 8 rebounds and 3.3 assists. In the season it is at 28.7, 8, 4.1 and 2.3 steals. In the best numbers of his career in points (his top is a full season is 23.7), rebounds and a percentage of three. The assists equals him. With 28 years, is taking the final step forward when he has committed long-term with the Thunder after giving pumpkins to the Lakers of his native California, where he said he wanted to play when his time in Indiana was consumed. But Sam Presti bet strong for him, took the risk that he could leave after just one year and the Thunder convinced him last season: that was his new home. So it was and it seems for now an excellent decision for both parties. George really aspires to the MVP and his team is positioning itself as the great threat to the Warriors in the West. George, in addition, is also in the accounts for the Defender of the Year award. The only player who has achieved this award averaging also more than 28 points has been Michael Jordan. So the season of the forward is being exceptionally good. In terms that could end up being historical. The Blazers, explains journalist Jason Quick, are suffering especially George. Last season 4-0 in direct duels between them and this year 0-3. Then George averaged 21.5 points, 4.5 rebounds and 2.5 assists with 28% in triples. Now, in the three matches in which they have been measured it is at 40, 9.3, 5.3 and 57% from the line of three. Demolition Man. "I do not think about what would have happened if he had come to play with us, he tried and he did not come out," Lillard concludes. Speaks of 2017, when before the Pacers transferred George to the Thunder (by Victor Oladipo and Domantas Sabonis), rejected an offer by the Blazers with three picks from that draft (15, 20 and 26) and a player that was not neither Lillard himself, nor CJ McCollum nor Jusuf Nurkic. It did not prosper.